On a Tuesday night in Gainesville, you might find Stu Pearson singing karaoke at the Dirty Bar. Or at Crafty Bastards on a Wednesday. Or at Napolatano’s on a Friday. As he steps in front of the crowd and the song plays through its intro, he’ll pass the mic from one hand to the other. He doesn’t leave the audience without an explanation for the shifting: It’s not because he’s nervous but because he can’t help it. 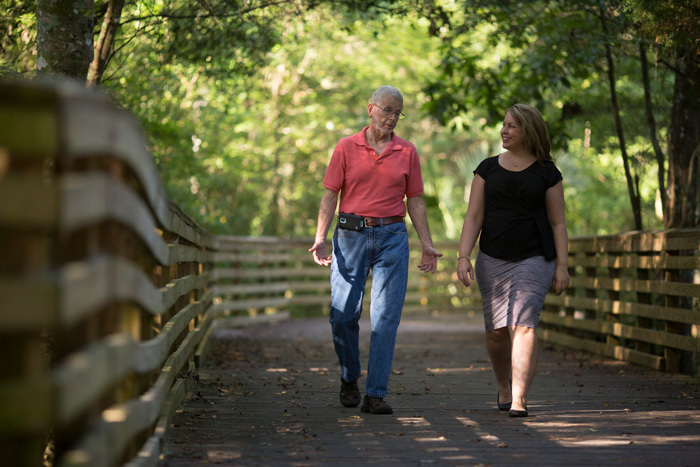 “I’m telling the folks that, ‘We Parkinson’s people just have to keep moving,’” said Pearson, a 70-year-old civil engineer for the city of Gainesville who, in 2009, became one of the 7 to 10 million people worldwide living with the motor-system disease. Indeed, Parkinson’s is believed to be rooted in the impairment or loss of the neurons in the brain that produce dopamine, which carries signals throughout the brain for coordinating the body’s movements. But Pearson’s singing goes to other dimensions of assisting in his battle with the disease. The activity also helps strengthen muscles handicapped by Parkinson’s, said Dr. Christine Sapienza, dean of Jacksonville University’s Brooks Rehabilitation College of Healthcare Sciences. As a Parkinson’s researcher, Sapienza is known internationally for publications on treatment protocols for helping people with the disease in their speech, swallow and airway-protection problems. She is also a co-author of a paper in the journal Disability and Rehabilitation from this year that describes the positive impact of singing on people with Parkinson’s. “Singing is a translatable activity that engages the breathing, voice and speech muscles through an activity that gives a Parkinson’s patient a sense of community engagement,” she said. In other words, “I’m not going to get stronger just by taking a walk. That might help my cardiovascular system, but in order to strengthen breathing and voice muscles, you need to make them work,” like through singing, which produces air pressures four times or more, which is greater than talking. Such methods that stand to improve the quality of life for Pearson and the many others who struggle with Parkinson’s symptoms daily — as well as those who care for them — is at the heart of much of the ongoing research into the disease at the Brooks Rehabilitation College of Healthcare Sciences. To make headway in their Parkinson’s research, Sapienza and others at JU lean on a collaborative approach that involves researchers from not just health care but other scientific fields, too. Though they say more advancements are to come, the researchers say the gains in roughly the past decade or so have greatly empowered Parkinson’s patients and their caregivers, who often felt far more helpless before. Recent visions at JU for quality-of-life improvement include a biofeedback device that tells Parkinson’s patients they need to speak louder and a video game-like platform that helps caregivers more easily navigate the many challenges that arise with the complex disease. And if Pearson’s present life is an indication, Parkinson’s certainly does come with its challenges. But he’s making strides forward as best he can — and having a daughter who researches the disease and has used her father’s diagnosis as a driving force in her search for solutions certainly doesn’t hurt. By venturing into the city and living as fully as he can, Pearson is finding ways to pound back the depression that compounds itself in so many Parkinson’s patients. But to make things harder on Pearson, his wife passed away from blood cancer in April of this year. Changing that with karaoke and with dancing, too — through salsa lessons or to any band that happens to be playing at the venue that night. The constant movement, he explained, meshes with his motor symptoms, which, for the tremors, have stayed within a manageable amplitude of an eighth or quarter of an inch. “I’m there all night, and I dance all the fast dances that I can persuade people to dance with me — or I just go out and solo,” Pearson said, noting that on his 70th birthday in June, he headed to the Atlantic on Main Street in Gainesville for ‘80s night. Pearson’s activities have indeed been shown to be valuable aids in offsetting some Parkinson’s symptoms, experts say — dancing as a movement-rich exercise, singing as a workout to strengthen the airway muscles in decline because of the disease and age, and both as avenues toward socialization. Pearson is in a unique position as a Parkinson’s patient because of that daughter who studies Parkinson’s: JU’s Dr. Erin Silverman. So he’s able to receive sound advice regularly. 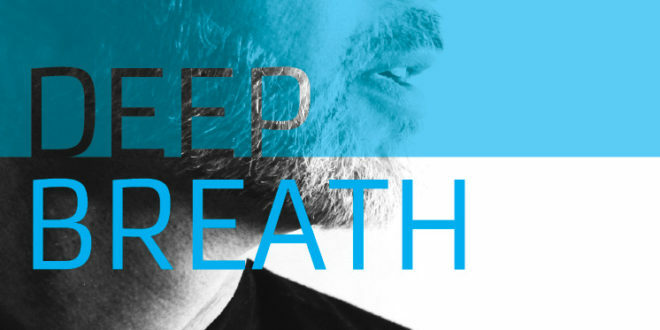 Specifically, Silverman investigates how chronic disease conditions, including Parkinson’s, affect breathing, speaking, coughing and swallowing, as well as how targeted interventions, delivered in person or remotely, can help preserve or rehabilitate airway protection. Initially concerned with vocal performance and voice services for professionals, Silverman started focusing on neurorehabilitation when she began her Ph.D. in 1999 and her clinical fellowship year at Shands, the University of Florida’s teaching hospital. Over time, her interests turned to helping those affected by movement disorder. “I had a lot of patients who were on ventilators, a lot of patients who had swallowing issues following stroke or traumatic brain injury,” said Silverman, who teaches communication sciences and disorders at JU and is also a certified Research Coordinator and adjunct professor at UF. Attention on Parkinson’s disease, she said, has increased in roughly the past 15 years because of widely publicized celebrity cases, as well as aging from what had remained the largest living U.S. generation before being overtaken by Millennials this year: the Baby Boomers, or those born between 1946 and 1964. With Parkinson’s often turning up during retirement, the golden years, like her father’s, can be profoundly affected, she said. As researchers increasingly turned their attention toward Parkinson’s, practical assistance didn’t come right away, but the new focus at least revealed unmet needs, Silverman said. But it didn’t take long for researchers to push forward with some tangible relief. One specific Parkinson’s tool that emerged is the EMST (expiratory muscle strength trainer) 150 device, created by UF’s Dr. Paul Davenport, Dr. Daniel Martin and Sapienza, who came to JU from UF in 2013. Studies with people using the EMST150 began in 2002. To operate the handheld, spring-loaded device, users blow into it, and if they don’t emit enough air pressure, the device won’t open, preventing the air from flowing through. 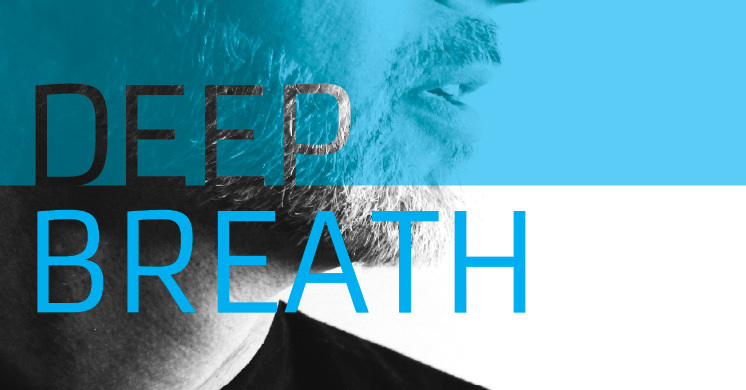 So users build up their breathing muscles until it does open, and to further train their muscles, the required levels of air pressure grow progressively higher. Essentially, the device acts much like dumbbells and barbells would for athletes. Studies have shown that the EMST150 does, in fact, strengthen the muscles charged with swallowing, talking and coughing for patients with Parkinson’s, multiple sclerosis and other neuromuscular illnesses or injuries. But unaffected people — like those going through aging changes or those of any age, really — can use it in the same way. Another example occurred in 2002, at the beginning of Sapienza and Davenport’s research with EMST150. It was then they offered it to high school students in band to see if it improved their air pressure in wind instruments — and it did. Silverman, as a Ph.D. student, was among several researchers investigating the therapeutic application of the EMST150 before it became available to the public in 2009. “What made Dr. Sapienza’s work so exciting is that, for the first time, we were looking at these patients as a potential focus of a rehabilitative or restorative treatment, which prior to that was not even on our radar,” said Silverman, who met Sapienza in the mid-‘90s while studying under her as an undergraduate. Today, EMST150 is used by Parkinson’s patients in the U.S., the U.K., India, New Zealand and several other countries, and all along, it has remained affordable, Sapienza said. Sapienza said that, in theory, someone who uses the device regularly and as directed could strengthen her or his airway so as to indefinitely put off the No. 1 cause of death related to Parkinson’s: aspiration pneumonia. Aspiration — which stems from the neuromuscular breakdown in Parkinson’s and other disorders — occurs when foods and liquids go into the lungs instead of the esophagus and stomach. These are small particles, not huge bites, but they’re enough to trigger the body to want to eliminate the foreign intrusion, leading to a pneumonia infection. 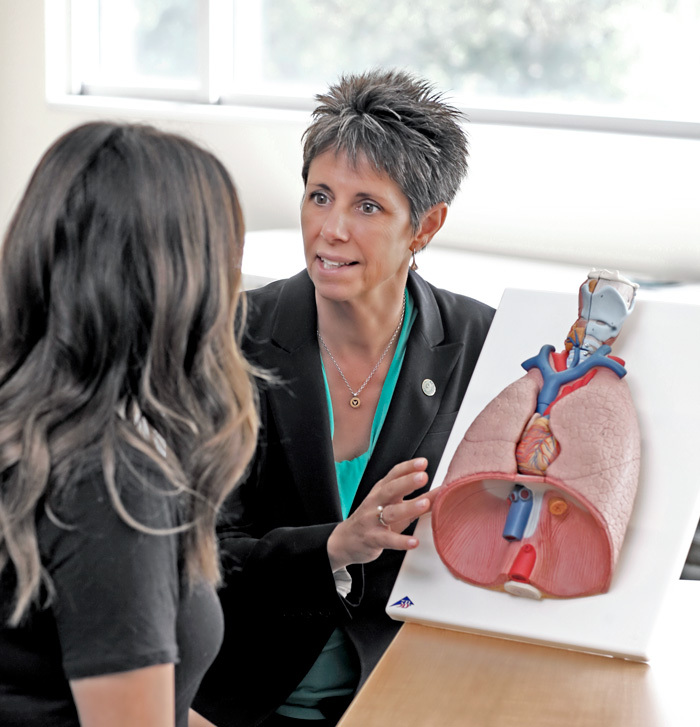 Though widely associated with having food or liquid “go down the wrong way,” aspiration can also stem from stomach acids coming up and then being inhaled into the lungs, Sapienza said. While a Parkinson’s patient might aspirate and then cough or show other outward signs, she or he might instead silently aspirate, meaning the matter has entered the lungs without any outward signs. “You and I, we would cough, we would choke, and we would clear it, and we would do everything we could to clear it,” Sapienza said. But a silent aspirator doesn’t sense that the aspiration is occurring. The condition could result from the brain deteriorating to a point that prevents the patient from responding to the stimulus, but the exact cause isn’t known, reemphasizing that Parkinson’s is “perhaps the most complex disease in clinical medicine,” said Dr. Michael Okun, administrative director and co-director of the Center for Movement Disorders and Neurorestoration at the University of Florida, and a longtime collaborator with Sapienza. Because of the lack of outward signs, Parkinson’s patients and their physicians should assume silent aspiration is present and proceed with periodic screenings for it, said Okun, who also serves as national medical director of the National Parkinson Foundation. “We believe that everybody’s at potential risk,” he said. Pearson’s silent aspiration was found as part of a study by his daughter shortly after his diagnosis. He has been fortunate in that he hasn’t had to change his diet — something Parkinson’s patients often must do to prevent swallowing problems. But he has felt some slight effects. For those patients needing a more drastic diet change because of swallowing problems, nectar- or honey-based liquids might be the solution, ensuring what’s being swallowed is thick enough to make it to the stomach, explained Heather Newberg, a 29-year-old JU master’s student in speech pathology studying under Sapienza. The confusing web presented by Parkinson’s — what can be consumed, noticing symptom warning signs and how to react, what therapies to perform and when — is navigated not only by patients but also caregivers, typically family members or friends who now have to devote a great deal of time and effort to the Parkinson’s patient. Such immense responsibility with no prior expertise led Newberg to decide on her research: discovering the needs of caregivers by talking with them through Parkinson’s support groups. After Newberg and Dr. Bari Ruddy, a colleague of Sapienza’s at the University of Central Florida, complete their survey-based data collection, the hope is to develop a video game-like platform for an iPad or similar device that brings the endless strings of one-dimensional information found on paper and online into a one-stop, avatar-based, interactive environment. In other words: the gamification of caregiver burden. Thus far, Newberg has visited three support groups in the Jacksonville area, and though it’s too early to offer any research conclusions, she has been noticing one dominant trend: an overall lack of knowledge and confidence. “So far, it’s been pretty consistent with, ‘I don’t feel as confident as I would like to feel. I don’t feel as knowledgeable as I would like to be,’” said the Jacksonville native, who had until recent years been involved with elementary education, switching to speech pathology following her father’s hemorrhagic stroke and subsequent passing. “I think it’s safe to say our end goal is to just build that knowledge base and build that confidence.” This informed at-home care would, in turn, lower hospital admissions, she added. At one support group, Newberg and Sapienza learned of a member who died after choking on food during Easter dinner — a situation that prompted discussions on safety measures, like the Heimlich maneuver, and then the two of them helping to coordinate a workshop to assist caregivers at the new Brooks Rehabilitation College of Healthcare Sciences building at JU. “We have such a talented pool of caring faculty and students eager to help our community,” Sapienza said. 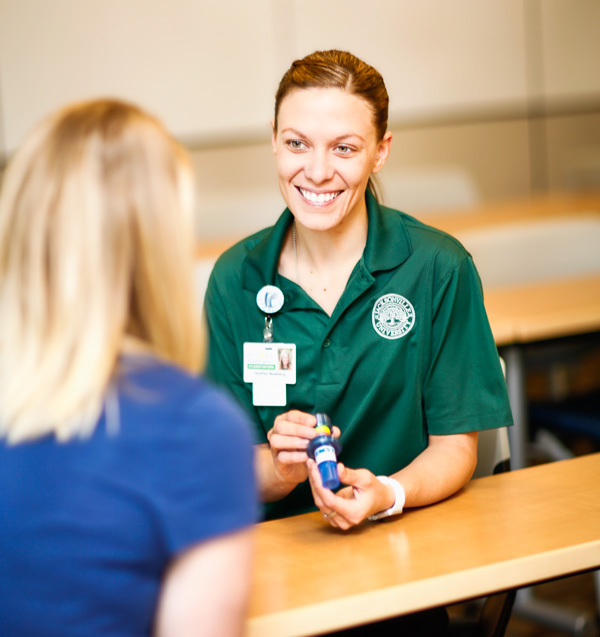 Expected to last half a day sometime this fall, the free event will rotate attendees among different stations that feature several JU faculty members teaching need-to-know aspects of Parkinson’s. These include the Heimlich maneuver, nutrition, yoga and dance, medication side effects, walking and balance, and mental health. “We decided … to focus it on whole body,” Sapienza said, emphasizing the importance of caregiver knowledge from head to toe, plus the environment outside the body. Though an administrator today, Sapienza keeps her roots in the traditional roles of a hands-on academic, including advising protégés (doctoral students still at UF, as well as Newberg and other graduate students at JU) and research. One project she recently embarked on with JU’s engineering department chair, Dr. HuiHui Wang: a biofeedback device that will tell Parkinson’s patients, in real time, that they need to adjust speaking volume to appropriate conversational levels. Through its complex damage to the body, Parkinson’s causes patients to develop not only a weak respiratory system and voice box, preventing loud voice, but also what Sapienza calls “a deficiency in their sensory loop.” In other words, they can’t correct their voice because they don’t hear themselves properly. The biofeedback device is a portable system of a necklace and a wristband. The necklace will have a microphone that picks up the wearer’s voice while filtering out all other noise and frequencies. If voice volume isn’t where it should be, the wristband alerts the wearer with a tactile cue, like a buzz, or a visual one. “So the necklace picks up the voice, buzzes the [patient’s] wrist, and [the device] is basically saying to him, ‘Joe, you need to speak louder,’” Sapienza said. Sapienza and Wang have developed a larger working model but are trying to miniaturize it for better consumer use and have their intellectual property protected. They are doing feasibility testing and seeking funding for product development, and there isn’t a timeline for public release. Perhaps the main driver of their research, Wang said, is affordability to the patient. Wang said that, as far as the technology involved, the project is nothing new to her, but directly helping people with an illness is. Wang said the idea for the biofeedback device came shortly after she met Sapienza as a colleague at JU. The two discussed their fields, and Sapienza noted the need for such a device for Parkinson’s patients. Being in academia, the two wanted to pursue the idea, especially because they could involve their students in an interdisciplinary project–Wang’s engineering students on the computer and mechanical aspects, and Sapienza’s on the patient and health care facets. Wang said the most important outcome for not only the students but for her, too, is reinforcing the idea that the best results emerge from cross-field collaboration. And though Wang has remained the teacher, she has at times slipped into the role of learner, such as when her engineering students presented some tweaks to slightly improve the device’s design. Back in Gainesville, Pearson still blows into his EMST150 device occasionally to test if he’s still at the same strength level though he’ll admit he doesn’t use it as often as he once did. Pearson, who has another daughter and is a grandfather of two, doesn’t buy it completely. “My daughters think I’m a little crazy,” he joked. If Pearson doesn’t get to dance, he’s sure to add in an hour or two of walking to his daily routine, with ‘60s radio giving him a good beat with which to match his footsteps. It’s during these walks that he can tell the Parkinson’s is progressing: His stride becomes hampered by his leg muscles locking up, turning the walk into more of a march. He recalled the time in 2009 when all this started, the time his Parkinson’s diagnosis came. During his six-month visit with his regular doctor, she noticed a twitch to his thumb and referred him to a specialist, who told him the bad news: Yes, you have Parkinson’s. “My reaction was one of disbelief,” Silverman said of learning of her father’s condition, noting how the diagnosis has since become a driving force in her work. When talking about Parkinson’s, researchers go into the scientific specifics of the disease and its effects and treatments, but Pearson stays with his more simplified approach, like singing along to Elvis Presley’s “Hound Dog,” as played by the band Frazzled at the Dirty Bar. “That’s a song that you could really get volume into, at least I can. So I think I was doing a better job of getting the lyrics out than the guy with the microphone,” he said.